Biblical scholar; born at Prague, where he was converted to Christianity and lectured on Hebrew at the university; lived in England during the first half of the nineteenth century. He was the author of translations and commentaries of various books of the Bible, his works comprising a literal translation from the Hebrew of the twelve Minor Prophets (1833); of Obadiah (1834); and of the seventh chapter of Ames with commentary. 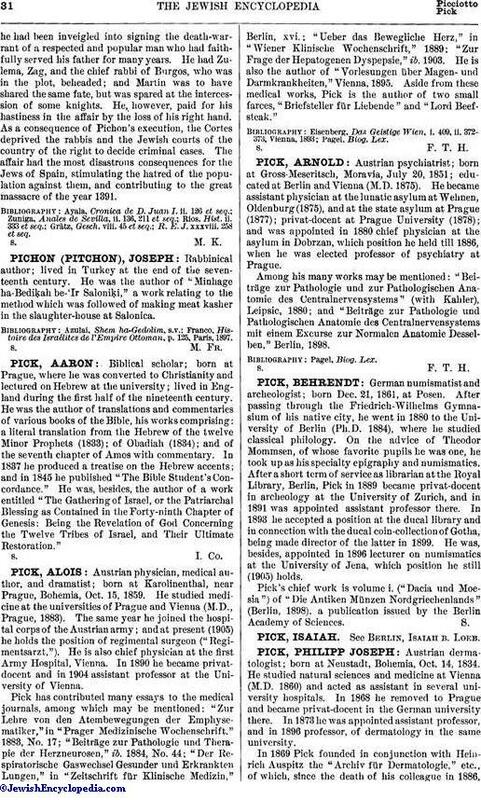 In 1837 he produced a treatise on the Hebrew accents; and in 1845 he published "The Bible Student's Concordance." He was, besides, the author of a work entitled "The Gathering of Israel, or the Patriarchal Blessing as Contained in the Forty-ninth Chapter of Genesis: Being the Revelation of God Concerning the Twelve Tribes of Israel, and Their Ultimate Restoration."